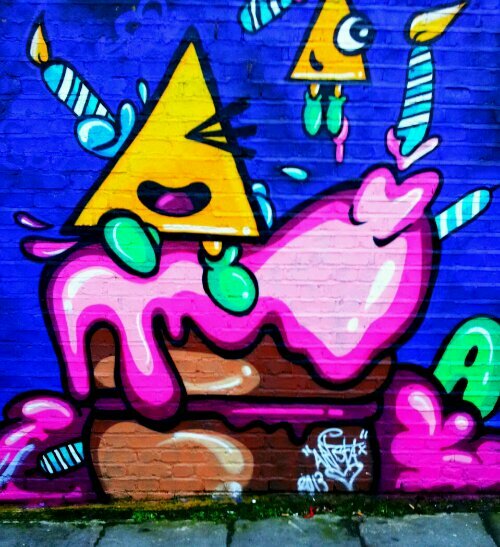 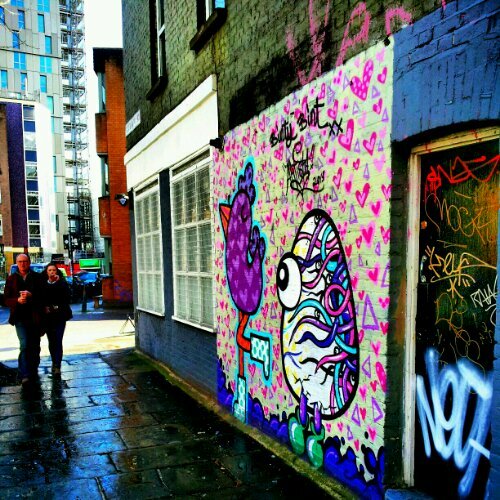 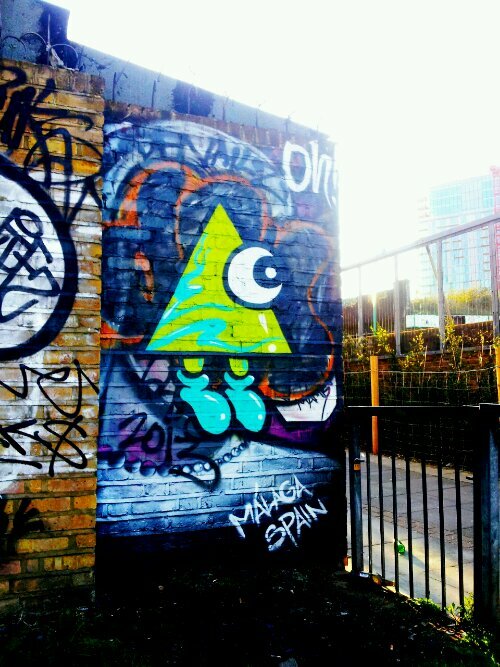 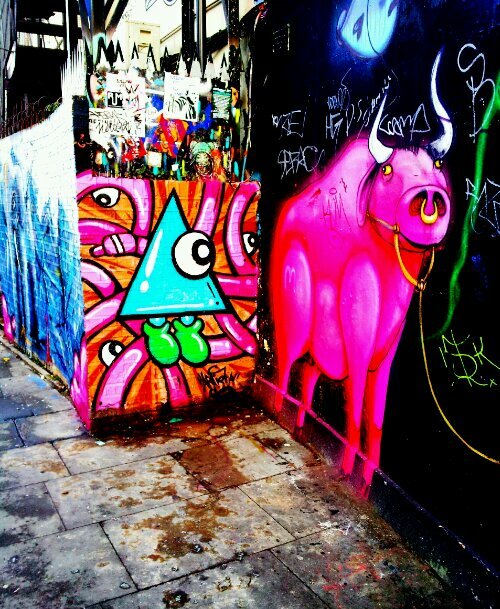 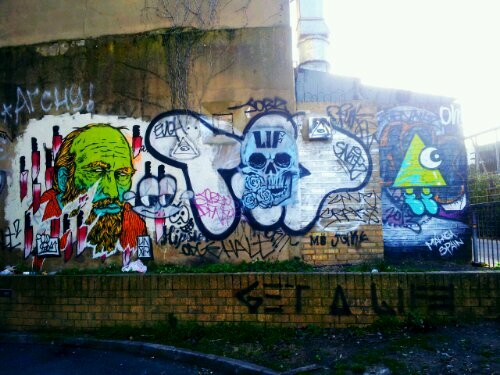 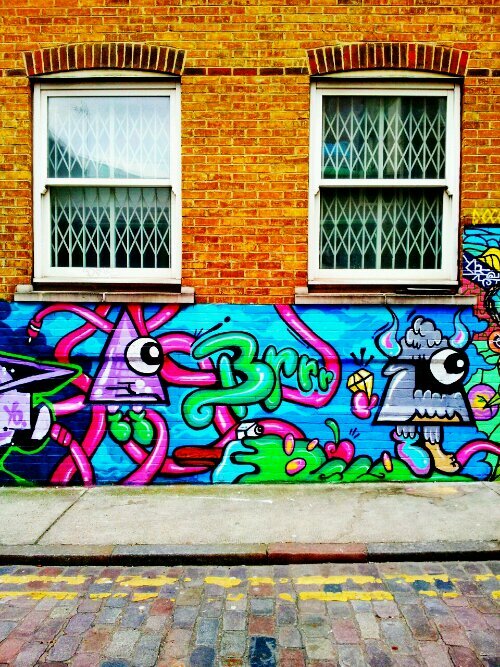 Anyone wandering around Shoreditch recently could not fail to notice the influx of little triangular one eyed people brightening up the walls of the area. 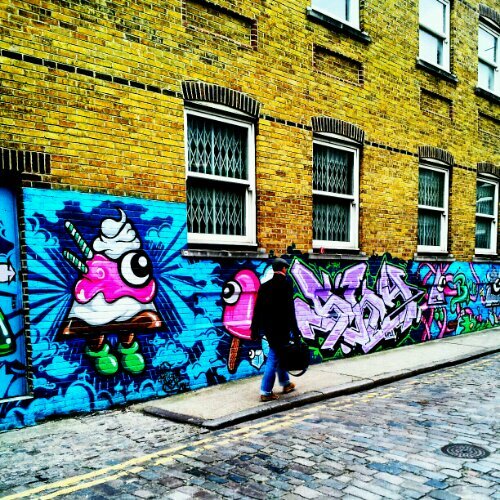 The creations of street artist Artista, these fun little cartoons add colour to the area and are fast becoming a photographers favourite. 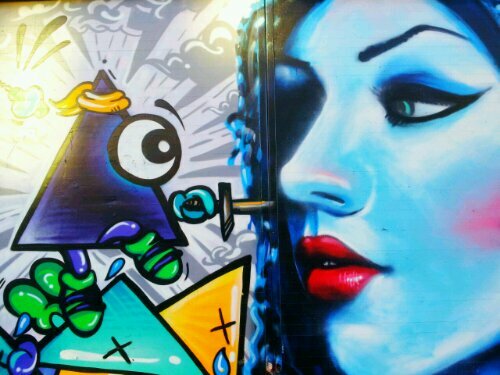 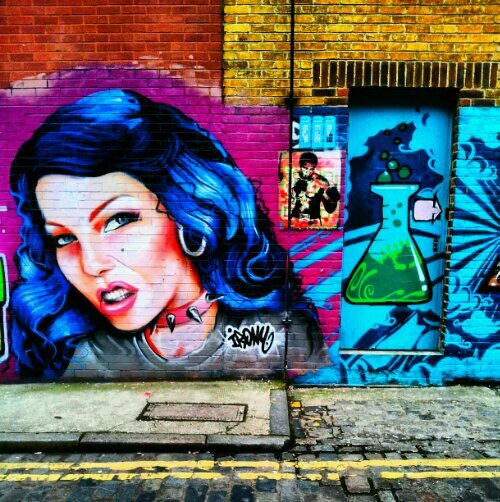 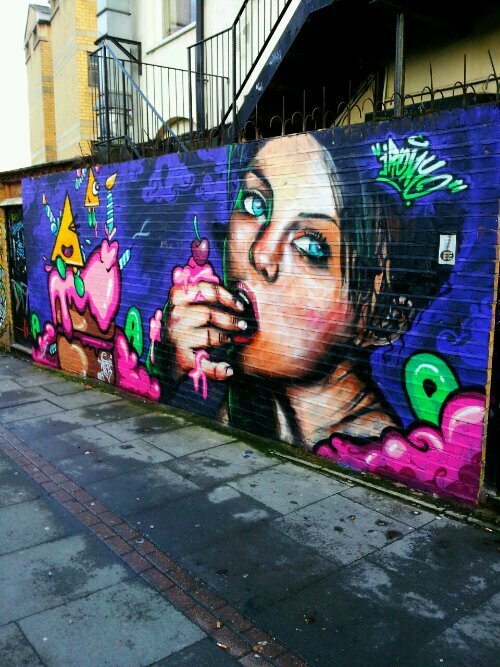 Often seen collaborating with other artists such as Irony, Deco and more recently Binty Bint the end result is a vibrant, exiting wall for everyone to enjoy. 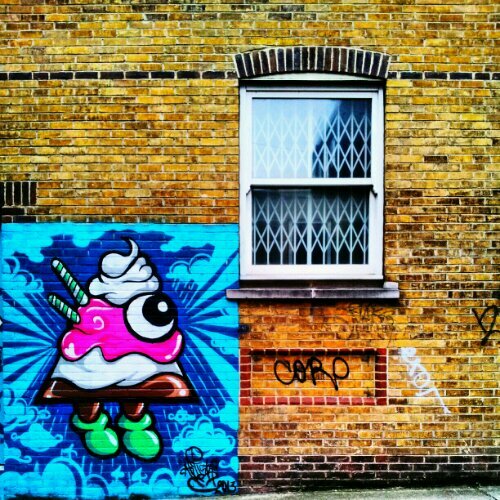 So, let’s have a look at a few good spots in which to catch Artista’s fun loving style. 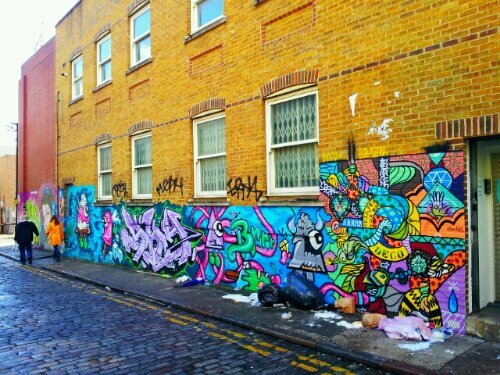 First starting on Pedley Street just off from Brick Lane. 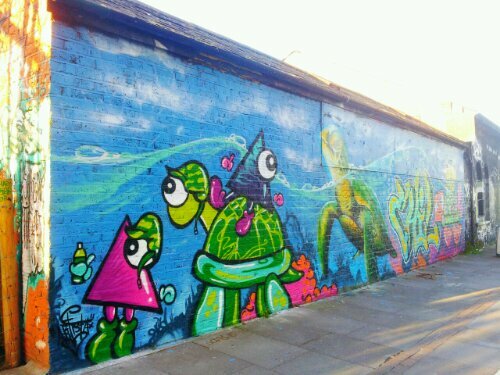 On Chance Street, the whole wall has been developed and added to over the past few months alongside the likes of Irony and Deco. 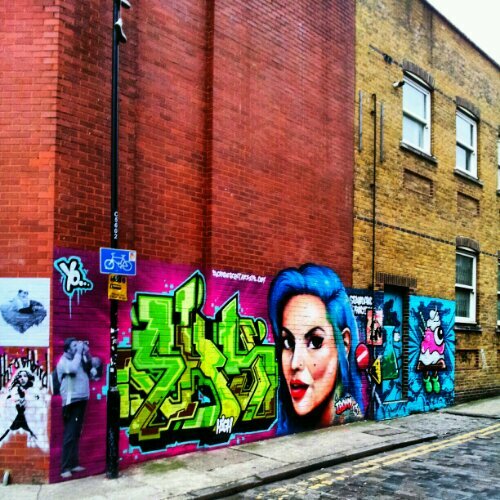 Some previous incarnations of the Chance Street wall appeared earlier in the year. 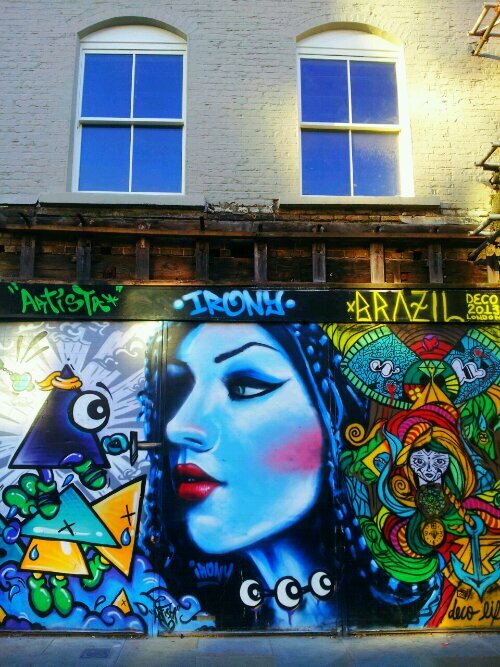 Finally on the junction of Redchurch Street with Bethnal Green Road another great combination with Irony and Deco.